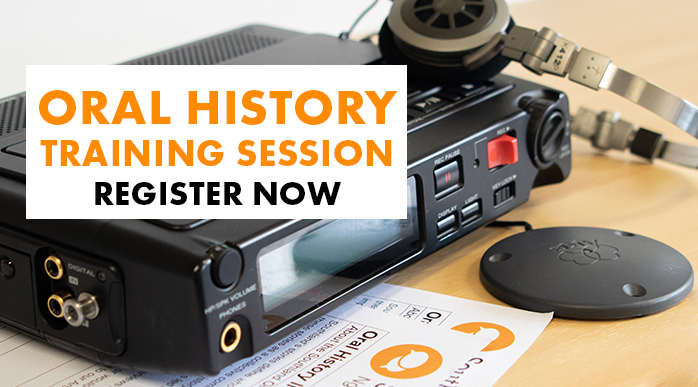 These training sessions are for those individuals wishing to undertake interviews for the Southland Oral History Project. Attendees will undertake a practice interview prior to the second session (equipment will be provided). Morning and afternoon tea is provided but attendees will need to bring their own lunch. There is no enrolment fee for the training workshops, however spaces are limited and participants are asked to commit to at least 2 to 3 interviews for the Project each year. If you would like more information before committing to the training, please email the Southland Oral History Project Coordinator.